This link takes you straight to the online booking page for this actual show! This takes you to the theatre / show listing to enjoy browsing without ads. The Late Rooms hotel booking service is easy to use - backed by real men and women, to get the best hostelry for your needs and The hotels and restaurants work with them to offer great deals with theatres as well. We use them. 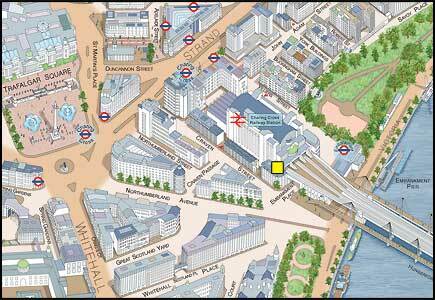 This links you to the taxi page of Transport for London. 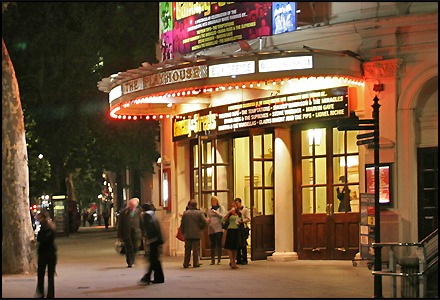 A classic viewing of all the Theatreland play houses by night. The authentic commentary, by Ben Shafik - a player himself - gives an authentic feel to the West End's theatres - and is backed by real music. Next version will be more upbeat as, suggested, to celebrate Britannia's unbeatable heritage. (Over 6000 viewings and all good reviews to date). I took these pictures to show off London theatres as they are seen -most often - by theatre goers, at night. Thanks to Ben Shafik for his lighthearted and informative commentary and Fionn O'Lochlainn for the original music. Watch out for the new version with current liveries and the names of the theatres as they appear. Back by popular demand following a critically-acclaimed West End run and sold out residency at the Menier Chocolate Factory, My Family; Not the Sitcom is a massively disrespectful celebration of the lives of David Baddiel's late mother, Sarah, and dementia-ridden father, Colin, opens at the Playhouse Theatre on 28th March 2017. Full News-brief and show details to follow soon so please check back for further details. In the mean time click on the "Red Curtains" above for booking details.